cTrader Copy is the latest and greatest from Spotware. It’s a total overhaul of the cMirror platform and there are many significant differences. What Spotware has done is merge the best principles of Copy Trading and PAMM (Percentage Allocation Money Management) in perfect harmony. The result is a transparent, user-friendly and easy-to-use platform. The application is essentially a library which you can use to browse available strategies and select which ones to invest in. In this guide, we will focus on cTrader Copy from the perspective of a trader/investor. Spotware first released cMirror in 2015. At the time of its release, it was way ahead of its time. One unique feature of cMirror, which cTrader Copy has retained is the cross-broker model. To this date, no other investment platform supports this feature, most likely due to the complexity. The cross-broker model adds a number of benefits, most notably the fact that as an investor you gain access to a wider range of strategies. Over the years there has been a lot of demand for a PAMM or similar money management solution for cTrader. While cMirror got the job done by allowing investors to mirror the trades of a Strategy Provider, it was missing some essential functionality. PAMM solutions come with a variety of complications and issues that affect investors, brokers and even Money Managers. cTrader Copy has positioned itself as a best of both world solution. Let’s explore. No product can be successful without solving people’s problems. Not only does cTrader Copy enhance what cMirror had to offer, but it also solves the problems of PAMM platforms. We have listed how each problem has been solved. Problem: They are not transparent. As an investor, you have almost no visibility of what your Money Manager is doing. You just get statements at the end of a period telling you if you are up or down. Solution: In cTrader Copy, you can see every position and every deal of your Strategy Provider. Problem: You have no control. You are not able to withdraw the funds which you allocate to a Money Managers strategy until the end of a period. This is because the Money Manager is actually trading with your funds. Solution: You can withdraw your funds from a strategy at any time. This is complementary to the previous point which enables you to view the performance in real time. This means you can pull out from the strategy if you feel you need to. Problem: In the PAMM model, Money Managers do not need to trade their own funds. They just use other peoples. That means anyone can become a Money Manager without any of their own personal risks. This makes it attractive to scammers looking to deceive you. Solution: For Money Managers to provide a strategy in cTrader Copy, they need to invest some of their own funds to initiate an active strategy. And you can see how much the Strategy Provider has invested. Problem: Multiple strategies blended into the same account. cMirror used a single trading account to copy multiple strategies. This would lead to confusing results because the orders, positions and P&L from multiple strategies would be reflected in a single account. This meant you wouldn’t be able to easily tell which strategies are performing and which are not. Solution: Separate Copy Trading Accounts. In cTrader Copy, a new separate Copy Trading Account is created where your funds are allocated and used to copy a single strategy. This account will reflect only the activity from the selected Strategy Provider. Problem: Multiple strategies competing for the same account resources. Linked to the previous problem mentioned, one Strategy Provider has no idea about other strategies you may be following. They also don’t know what self-trading you are doing either. This can lead to possible risk management issues, especially if there is a lot of drawdown from a particular strategy and other strategies are already blocking the margin from the account. Solution: Equity to equity copying model. In conjunction with separate Copy Trading Accounts for following a single strategy, cTrader Copy will follow a strategy using an equity to equity ratio. This means what you copy will be proportionate to the Strategy Provider. Problem: Conflict of interest associated with fees. With cMirror, Strategy Providers were remunerated based on volume. This meant the more often they trade, the more they will earn. This gives motivation for the Strategy Provider to enter traders when they may not be needed. Solution: In cTrader Copy, Strategy Providers can charge a Performance Fee. This means they get paid based on their performance. This approach means that Strategy Providers and investors interests are aligned. On top of addressing all the problems stated above, cTrader Copy has gone on to offer a number of extra benefits. These key changes are cTrader Copy being embedded inside of cTrader Web and boasting a massively improved visual design. cMirror was a stand-alone web application. cTrader Copy shares the recent makeover cTrader Web went through both having a crisp and cool design. cTrader Copy also offers detailed analytics where you can see an abundance of information about any strategy which intrigues you before actually committing and investing. Now you have the ability to bookmark your favourite strategies too. This allows you to save strategies that interest you and monitor them over time. 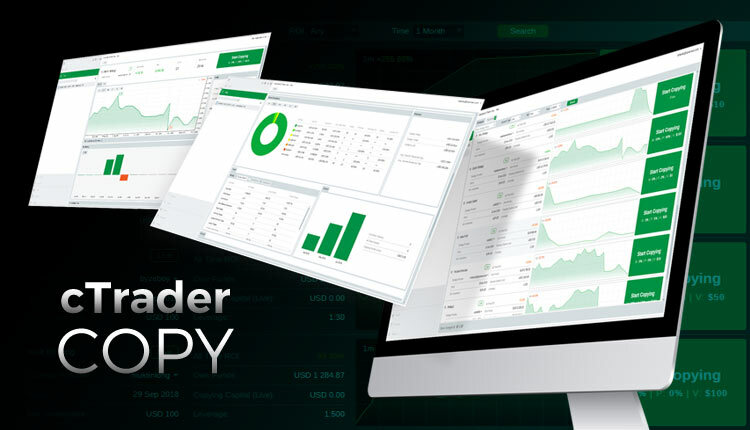 As an investor in cTrader Copy, you have complete control of your funds. You can increase or decrease the amount of funds which you have allocated to a particular strategy without stopping or pausing. You can also stop following at any time in case you feel the strategy has stopped performing or the level of risk being taken by the provider is unreasonable. One dramatic change between cMirror and cTrader Copy is that existing positions are copied when you start following a new strategy. This approach is associated with more professional investment platforms. It may seem counter-intuitive to open positions at very different entry prices to the strategy but there is a valid reason for this. Trading strategies often employ hedging tactics and unless you have the same positions as the strategy provider your account will not be balanced the same way. This is an important aspect of following a strategy. As mentioned previously, cTrader Copy offers much more forms of payment for the Strategy Provider to charge for copying them. This is actually a benefit for you because it will attract a wider range of strategies. The Volume Fee format of cMirror would only have been attractive to high-frequency trading strategies. Now cTrader Copy can cater to all types of strategies. Also, cTrader Copy allows Strategy Providers to set a minimum investment amount. This may seem like an evil feature; however, it has an important role to play. A strategy working with $10,000 will not have the same effect for an account which allocated just $100. It can place excessive risk on a small account. Even minimal position sizes for index contracts with the slightest amount of drawdown can wipe out the account. Even though this is a Spotware product, not all brokers offer cTrader Copy, and the ones that do can offer them at varying levels. The reasons for this could be different. Some brokers may only want to provide their own strategies to their clients or have another business strategy. The downsides of this new Copy Trading platform are few. But cTrader Copy does inherit some of the downsides of cMirror. cTrader Copy is currently available only in cTrader Web, which adds some small inconvenience to desktop and mobile users. However, Spotware is working on cTrader Copy mobile version now, so it will be available in the near future. Rest assured, mobile Copy Trading on cTrader is coming soon. I think it goes without saying but we will state it anyway. 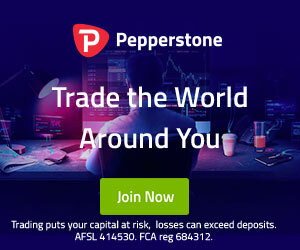 You need a live and funded cTrader Account to get started. Once you have one, go to cTrader Web and select “Copy” in the menu, this will take you to Copy Trading heaven. As mentioned previously, not all brokers offer cTrader Copy at its full capacity. Check out our list of cTrader Brokers to get started on your Copy Trading journey.